Heather White serves as Genpact’s General Counsel and Corporate Secretary, overseeing all legal, compliance, and corporate governance functions for the company. As a Genpact executive officer, she brings more than 20 years of broad legal experience to the role. Heather joined Genpact in 2005 and served as Genpact’s Deputy General Counsel until April of 2018. She has played a key leadership role in many strategic transactions at Genpact, including the company’s IPO, acquisitions, large deals, and treasury matters. Prior to joining Genpact, Heather was a member of the corporate department at the law firm of Paul, Weiss, Rifkind, Wharton and Garrison LLP, working in both their New York and London offices. 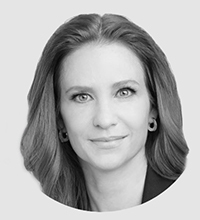 Based in New York City, Heather holds a JD from New York University School of Law and a bachelor’s degree in English from Cornell University.